Former Charlotteans Robert and Cortney Novogratz plan to visit Mint Museum Uptown in November for the latest installment of the Mint’s ongoing Contemporary Architecture + Design (CAD) series, which explores innovative perspectives and insightful stories on architecture + design, today and beyond. The husband-and-wife design team and authors, whose TV shows have included Bravo’s “9 by Design” and HGTV’s “Home by Novogratz,” juggle seven children and dozens of clients. The public program is at 7 p.m. on November 15 and costs $5 for Mint members, $10 for non-members, and is free for students with valid ID. A light reception and book signing will follow their hour-long presentation. Copies of their newest book entitled “Home by Novogratz” (Artisan Books, $35, published October 9) will be available for purchase that evening. More information is available at www.mintmuseum.org/happenings. Robert and Cortney Novogratz specialize in a seemingly effortless melding of vintage finds and modern touches known as “the Novogratz look.” In their new book, they break down their design process from start to finish, making it easy for anyone to breathe new life into a variety of spaces. The book provides an inside look at 20 of the design pair’s projects—including the homes of Ree Drummond (the “Pioneer Woman”), skateboarder Tony Hawk, and musician Suzanne Vega—complete with tips, tricks, and takeaway ideas and detailed budget breakdowns. From reviving a Brooklyn townhouse to creating a last-minute nursery, from building a family space in a suburban basement to overhauling a beachside surf shack, each completed job is presented step-by-step. Parents of seven children (theirs has been called “the coolest family in the world” by The Times of London), Robert and Cortney have extensive, firsthand experience in creating solutions for active families, big and small. Whether it’s making space for triplets in a shared Manhattan bedroom or building the ultimate tree house for their own family, no challenge is too intimidating or idea too grand. ABOUT THE AUTHORS: Robert and Cortney Novogratz and their seven children are known to millions worldwide through their unique design aesthetic and TV programs. Raised in Virginia and Georgia respectively, Robert and Cortney now make their home in New York City. Their children are Wolfgang (age 15), Bellamy and Tallulah (14), Breaker (11), Five and Holleder (7), and Major (3). 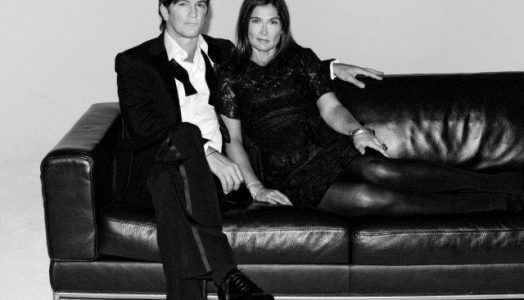 Follow the family’s adventures at Twitter.com/TheNovogratz and Facebook.com/Novogratz. HGTV’s Home by Novogratz airs Saturdays at 7 p.m.